But let’s not forget why podcasting is so popular: we listen on our terms, where and when we want to – not just when we have a internet connection. Streaming removes a huge amount of convenience and cost-effectiveness for the consumer. 2. On-demand is more cost-effective for the listener. “Most people cannot afford huge data plans. If you’re a listener with two kids, you might have four people sharing on a single mobile data plan with maybe 4-5 gigs of data,” Cochrane says. 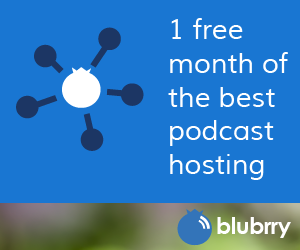 For a serious podcast consumer – the kind we all want to reach! – that may not be enough to support a streaming-only option. Also, consider that listeners in developing nations may have even less access to data – they’re more likely to be using Internet cafes to download shows and then listen on the go, explains Cochrane. 4. On-demand audio is why podcasts were created in the first place. Being able to listen to a podcast wherever and whenever you want to – whether that’s on an airplane, that one place on your commute where your cell signal always drops out, or the room in your basement where you can never get a good data signal – is one of the crucial things that’s made podcasting so popular to begin with. “Even Google Play recognized the importance of download by allowing it,” Cochrane points out. Bottom line: while it’s possible down the road that customer preferences or needs will shift to using their data plan primarily to stream podcasts, the data does not bear out a shift now. Until that point, the industry should not be forcing a change, but instead supporting what the consumer wants. It’s pretty clear that right now, listeners want to be able to listen to podcasts on demand, and smart service providers will do what they can do meet that need. Thank you, Blubrry! This is good information that makes sense.